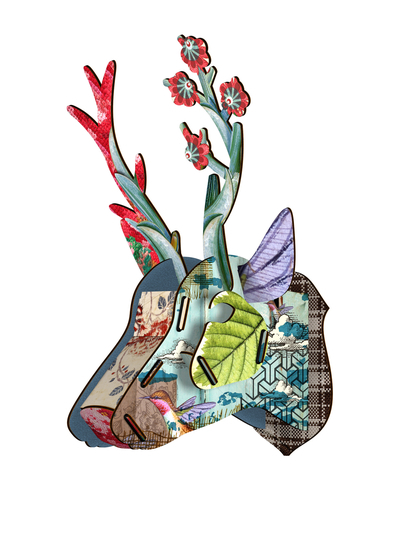 Blå Gungan - webshop design & crafts - Trophy Roe "One of a kind"
Home » Interior » Trophies » Trophy Roe "One of a kind"
Trophy Roe "One of a kind"
Trophy One of a kind comes in a flat package with pre-cut pieces of eco-friendly MDF, printed with non-toxic paints. Parts consists of mixed pattern in different colors. The pieces are pressed out from MDF and then assembled with a black rubber strap that comes with the package. 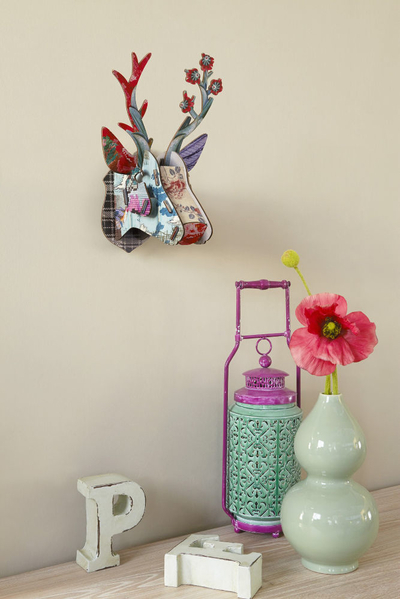 Quick and easy, you have pieced together a beautiful and unusual wall decoration!